Artichokes in olive oil and Balsamico. VIROPA Alpine Herbs ORGANIC A lovely herbal tea blend with herbs South Tyrolean pastures. Attentively tuned with a truly traditional taste and aroma. A refreshing drink for adults and also suitable for children at any time of the day. Whole Artichokes in Oil 314 ml. - Calugi 12,95 EUR / 41,24 €/lt. 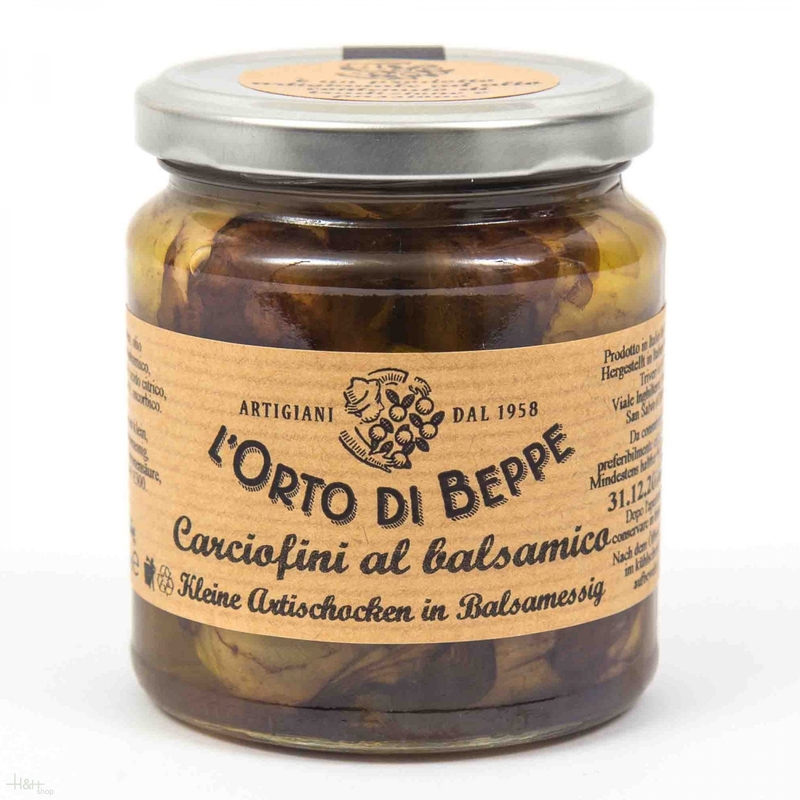 Pesto Genovese 170 gr. - La Baita 9,60 EUR / 5,65 €/100 gr. Patè of Taggiasca olives 180 gr. - La Baita 9,55 EUR / 5,31 €/100 gr. Truffles Carpaccio 30 gr. - Calugi 13,80 EUR / 46,00 €/100 gr.